FEATURES * Type K/J, Pt 100 ohm, 4 display. * 4 channels ( T1, T2, T3, T4 ), T1-T2 for Type K, Type J. * 2 channels ( PT1, PT2 ) for Pt 100 ohm. * Type K : -199.9 to 1370 ℃. * Type J : -199.9 to 1210 ℃. * Pt 100 ohm : -199.9 to 850 ℃. * ℃/℉, 0.1 degree/1 degree. * Data hold, Record ( max., min. ). * RS-232 interface. * Data logger, 16,000 data point. * DC 1.5V ( UM-4, AAA ) battery x 6 or DC 9V adapter in. FEATURES * Optional probe : Type K/J, PT 100 ohm, IR * High capacity, 16,000 data logger no. * Real time data logger ( record year, month, date, hour, minute, second ). * RS-232 computer interface * DC 1.5V ( UM3, AA ) x 4 PCs or DC 9V adapter in. 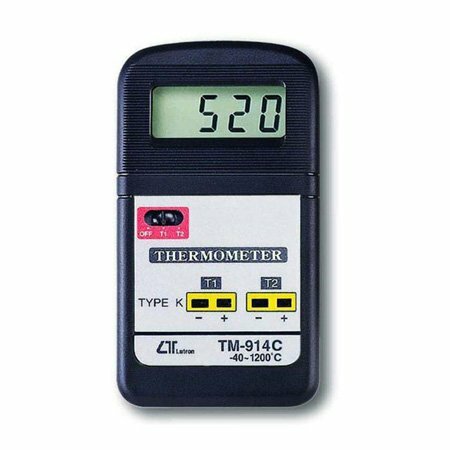 * Type K/J, Pt100 ohm, IR Thermometer * Max., Min., Data hold, zero adjust. * Size : 203 x 76 x 38 mm. 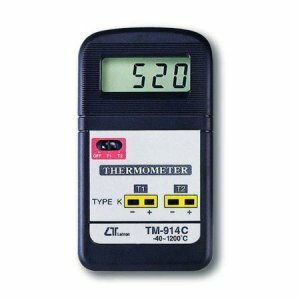 FEATURES * Heavy duty and all in one pen type thermometer. * ℃/℉, 0.1 degree. * Meter can default the measuring unit to ℃ or ℉. * Two type display, normal or reverse, easy for operation. * IP67, water proof and protection. * Data hold to freeze the display value. * Bright LCD display. * Microprocessor circuit ensures high accuracy and provides special functions and features. * Auto power off saves battery life. * Operates from DC 1.5V ( UM4/AAA ) x 4 PCs batteries. * Durable, long-lasting components, enclosed in strong, compact ABS-plastic housing. FEATURES * T1, T2, T1-T2, Type K/J. * ℃/℉, 0.1 degree/1 degree. * Type K : -100 to 1300 ℃. * Type J : -100 to 1200 ℃. * Data hold, Record ( max., min. ). * RS-232 interface, data logger. * DC 9V battery ( 006P ) or DC 9V adapter in.